Is there a better alternative to MacMassMailer? Is MacMassMailer really the best app in Email category? Will MacMassMailer work good on macOS 10.13.4? MacMassMailer is a fully-featured mac mass mailer for Apple Mac computer supporting message templates and recipient database. 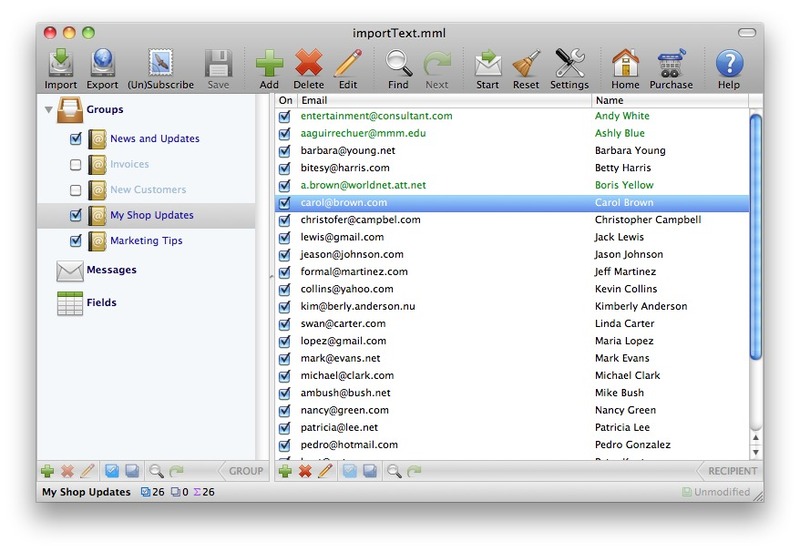 It offers everything you need to create and maintain mailing lists for different needs and send mass messages directly form your Mac at a very high speed. It uses Apple Mail's message delivery framework to deliver your messages. This means that 100 percent of your email messages will get delivered properly to recipient mailboxes as if they were delivered by Apple Mail in a regular way. 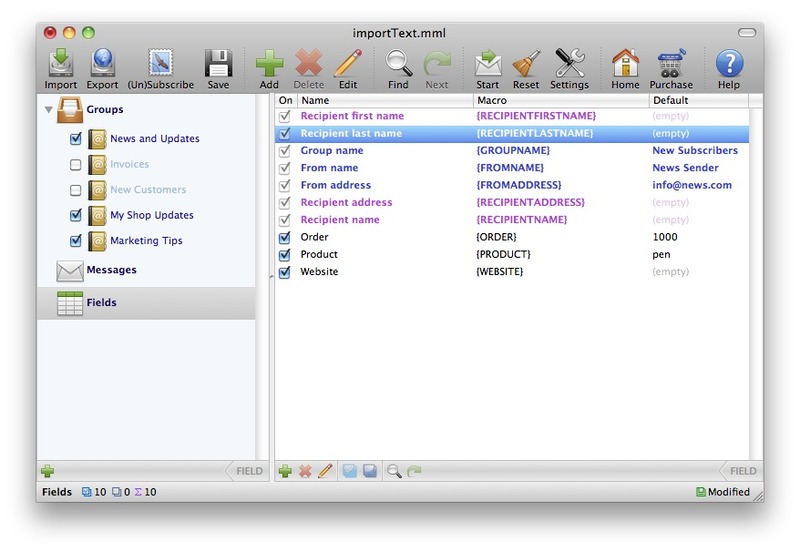 The recipient database is fully customizable. You can add as many recipient fields as you want and use them in message templates for the purpose of personalizing your messages. Each recipient will receive individualized message as if it were separately sent with Apple Mail personally for him in a regular way. 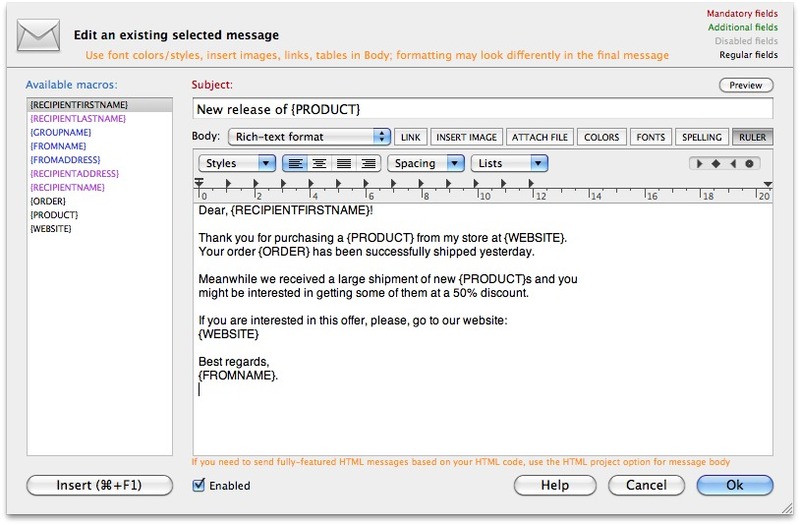 Message creation mechanism is the same as in Apple Mail. Each message may contain colourful text in different fonts, pictures and attachments. You can even copy a HTML document to the clipboard and then paste it to the message editor of Mac Mass Mailer if you already have one ready to be sent. Mac Mass Mailer also lets you suspend your current sending and resume it later at any time. This mechanism works on a per-document basis. Every mailing project can be suspended and resumed independently. Sending statistics are greatly visualized. You do not have to deal with log files you do not understand. It is simple as one, two and three; in your mailing groups, the successful recipients become green, the bad recipients become red and the unprocessed ones stay black as they were before you hit the Start Sending button. 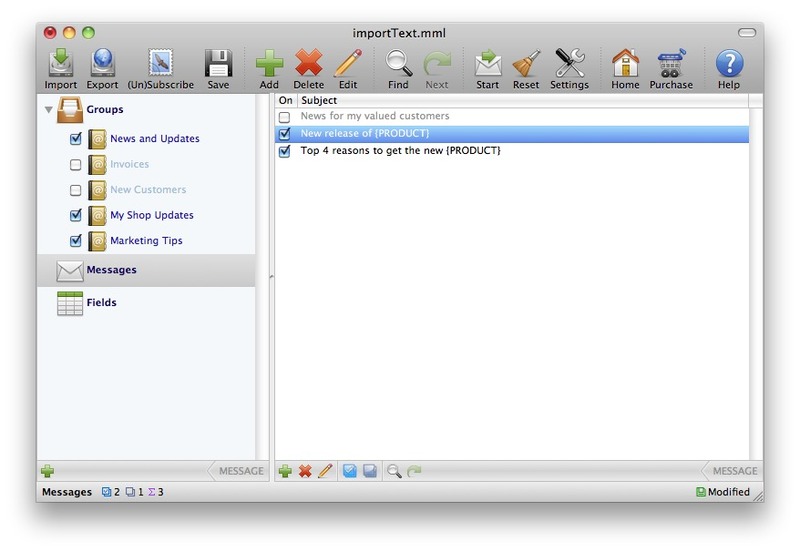 Import and Export feature in the program is so powerful that you can import email addresses and other recipient data from virtually any files. The program can even travel through your hard drive and extract all email addresses from all your files and directories. 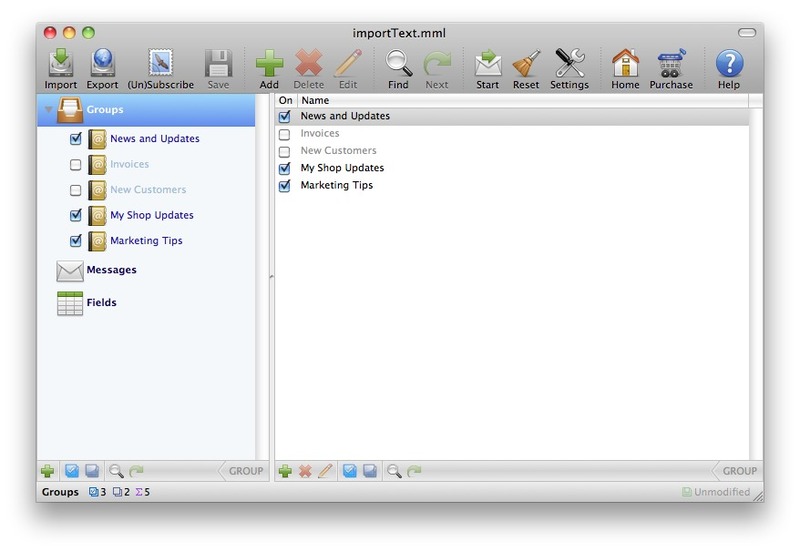 The user interface of the program is professionally designed according to the Mac OS X guidelines.